Fernando Chui Sai On. Picture credit to: Plataforma Macau. 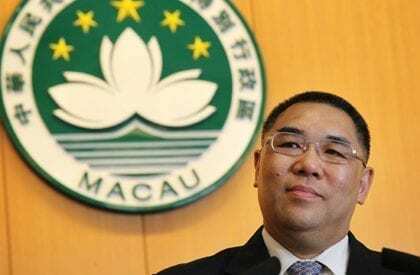 The Chief Executive of Macao (on of the Special Administrative Regions (SAR) in China), Fernando Chui Sai On, has announced on the 15th of November 2018, that the Wealth Partaking Scheme (WPS) has been increased to 10000 patacas/year (1094 €/year) for Macao’s permanent residents, and to 6000 patacas/year (656 €/year) for non-residents. That’s an 11% increase from previous values, set since 2014, and a 100% increase since 2008, the year of the scheme’s inception. This announcement is made as part of Macao’s 2019 Policy Address, an event occurring on that same date at the Legislative Assembly. Macao, home to 663400 residents plus around 180000 non-resident workers, uses the WPS to redistribute gaming revenue, in a region which has been called “Vegas of China”. However, social unrest is around the corner, when some people have voiced that the local government has not dealt properly with the recent devastation by hurricane Hato earlier this year. That and due to rising inequality, which has risen to warning levels (above 0,4 in the Gini Index), according to the Macau Economic Association, aligned however with China’s inequality levels, above 0,4 at least since 2012. This seems to suggest that the WPS is more a way to “temper public dissatisfaction and widespread demonstrations”, as assistant professor Bruce Kwong of government and public administration at the University of Macao has put it, then an effective tool to reduce inequality.